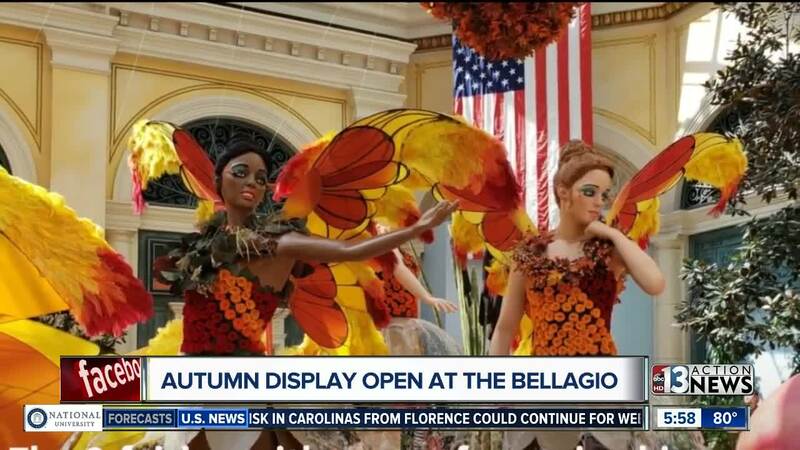 There's a new fall display at the Bellagio Conservatory & Botanical Gardens on the Las Vegas Strip. The display is titled "Falling Asleep." It can be viewed 24 hours a day, 7 days a week. It was designed by Ed Libby, who is known for his elaborate floral designs.